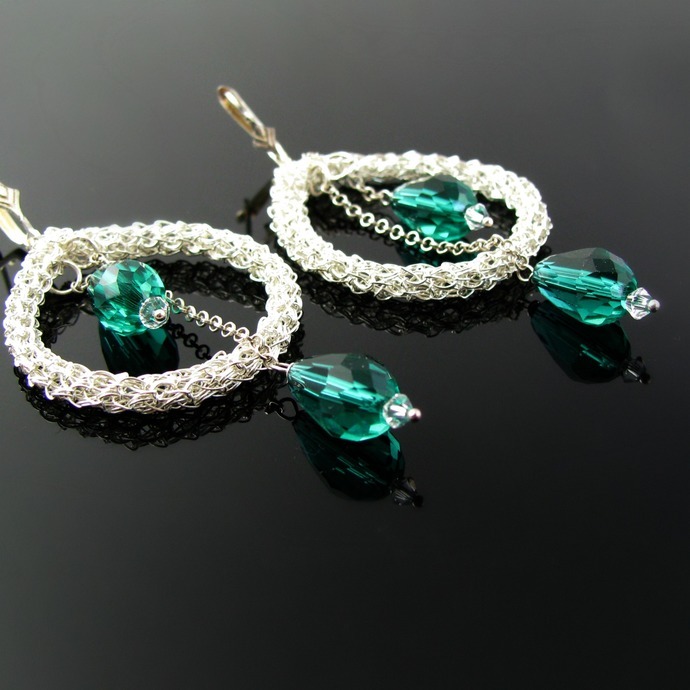 Dangling earrings are so much fun, and these are so elegant, too! 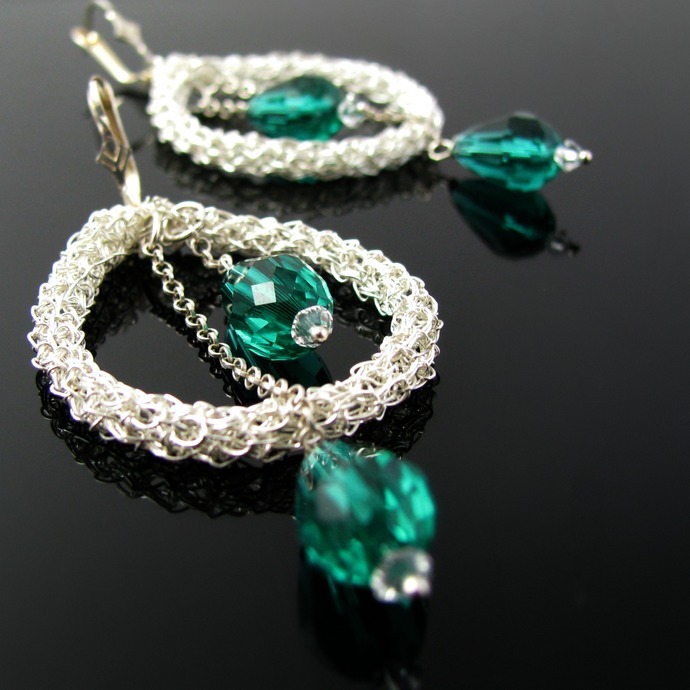 There are two large drops crocheted from fine silver wire. 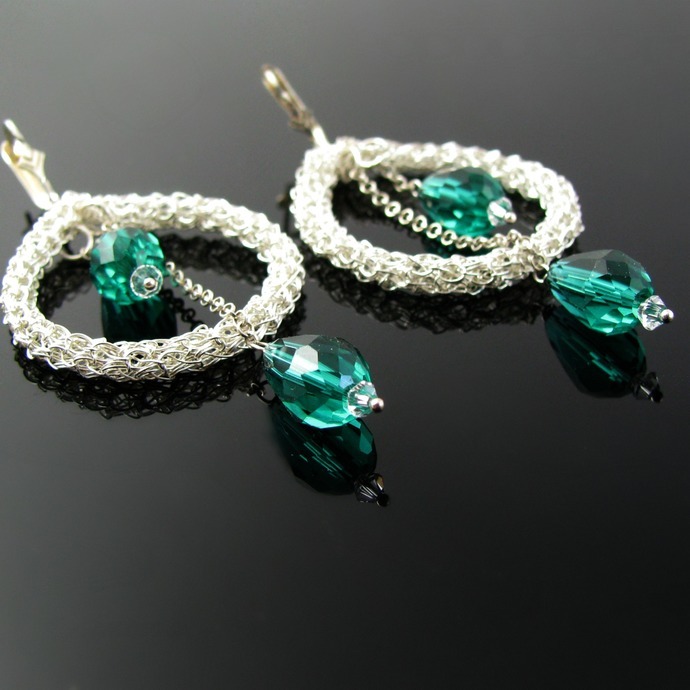 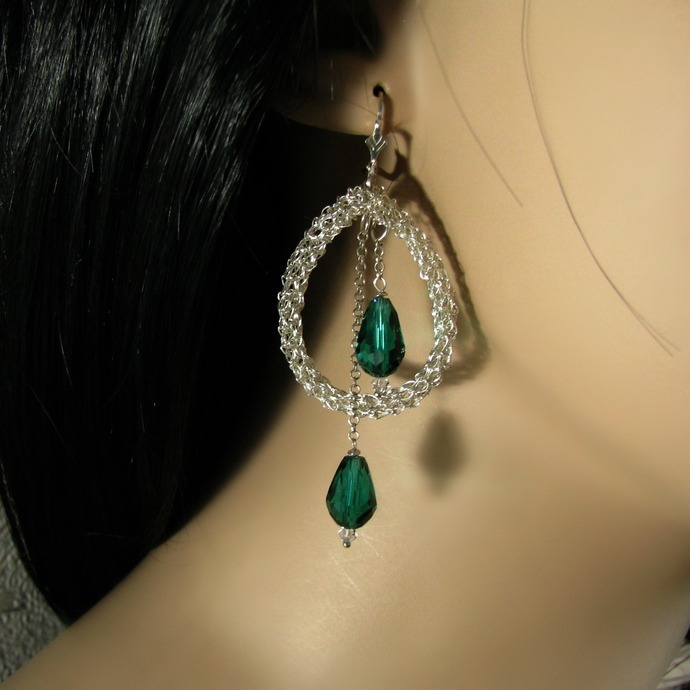 Inside each silver drop you find two fine sterling silver chains which end in sparkling crystal drops of a beautiful emerald green color accented by tiny clear Swarovski crystals. 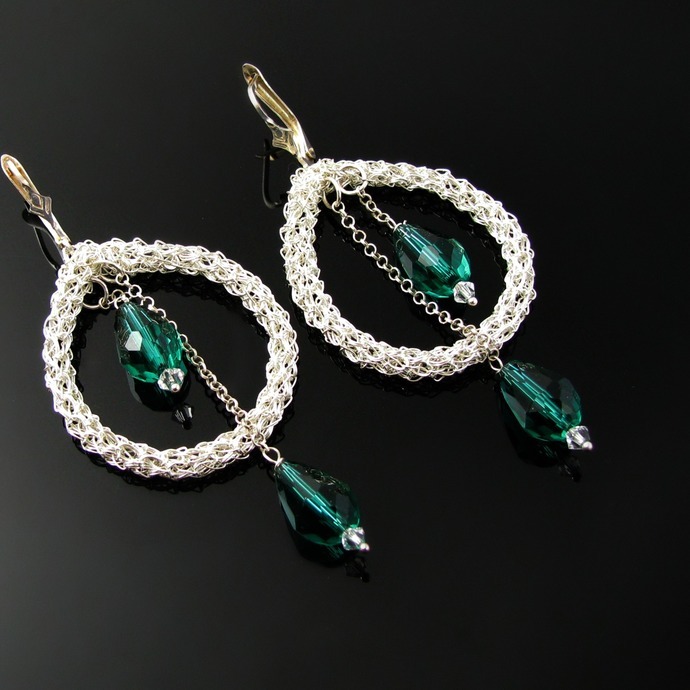 Measured from the pretty sterling silver leverbacks to the drops on the longer chains the earrings are 7.2 cm or 2.8 inch long! 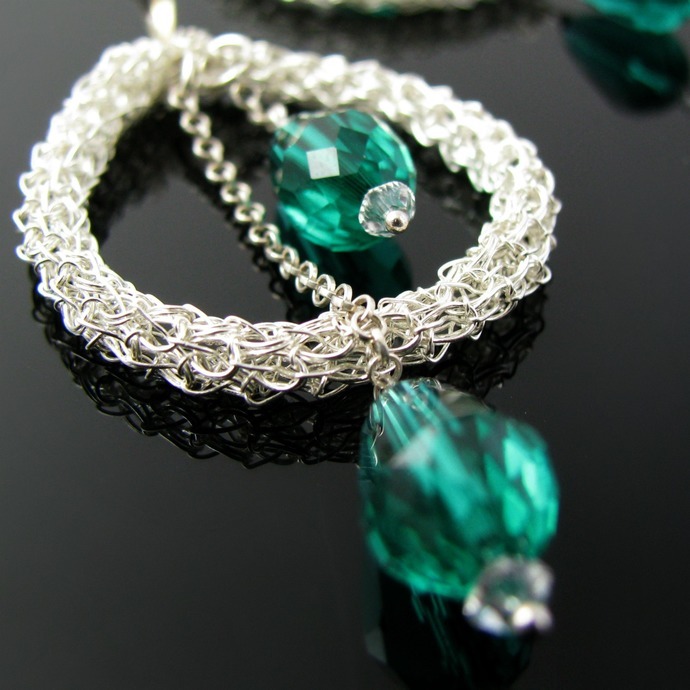 You can choose yourself if you like to wear the crystal on the longer chain in front or behind the silver drop.